We don’t have TV. We have conversations. Surabhi Surendra, Blogger and Owner of Womanatics.com. I have stories to tell. 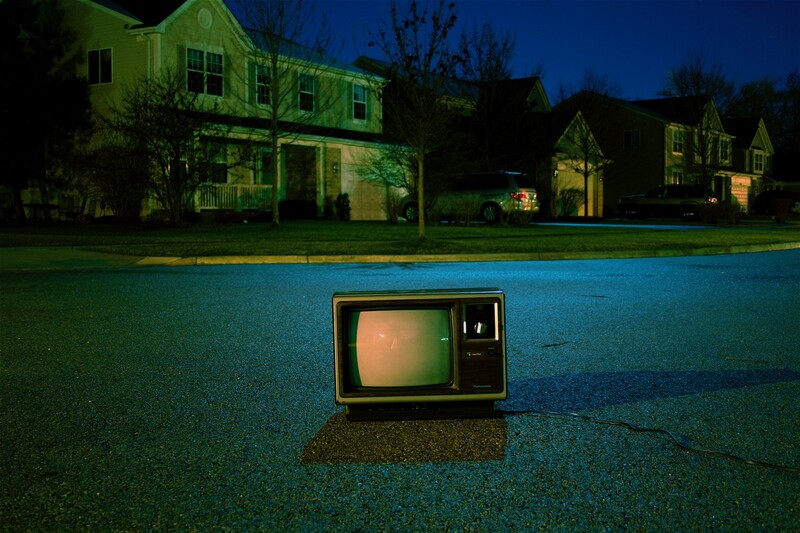 Since the time I moved into my new house in New Delhi, we have been living a TV-less life. We actually did not buy a TV set for our home and nor we plan to do so for at least many more years to come. Everyone around us is either glad or stupefied by the fact that we have never thought of buying an instrument that otherwise seems essential to many for a sustainable living. ‘CHUCK THE TV OUT right away. It is not simply eating away your precious family time, it is also adding stress to your lives and throwing unnecessary competition, negativity and emotional burden upon you’. Let me first tell you why we decided to go TV-LESS. It was our ADDICTION to TV that prompted me to remove the object of addiction itself. 1. It was taking way hell of a time of ours. Particularly the family time. My husband would be glued to the TV after returning from office and there was no stopping him. When we were in Andamans, he would come home by 7pm or 7:30 pm and right after dinner he would head to the hall, switch on the idiot box and watch the never-ending, noisy, loaded with brick-bats news debates or Star Movies repeated action movies. If none of these interested him, he would watch Discovery for hours. 2. I, on the other hand, unknowingly and unwillingly, got hooked onto the ridiculous and extremely non-sense TV soaps. Even if I watched two or three serials, just the dire desire to watch their fresh episode would turn my whole schedule upside down. My mornings and evenings were planned according to their show timings. 3. My daughter had the worst addiction. She would watch the cartoon for hours in a row, she later on developed the habit of eating or drinking milk only when she was watching TV. I decided to call it quit. We did a small experiment on it while we were in Andamans itself. One day, I removed the cable wire if the TV and my husband and I challenged each other on who would start watching it again. Both of us stayed away from TV for a fortnight. But this little exercise taught us that we could go TV-less if needed. When we moved to Delhi and shifted to our house, we had to buy every thing needed for a household. But since we did not realize the need of a TV immediately, we thought we would delay it. We delayed and then we never bought it. What difference do I notice in my life now? 1. It is much more peaceful than it would have been with a blaring TV. If you own a TV in the house, you switch it on. And once switched on, it holds onto your attention because that is how TV channels make money. 2. Less advertisements mean less spending. Now I do not buy something just because it makes tall claims on TV. 3. NO TV means NO NOISE except the sweet chitter chatter of human beings or old melodies being played on the radio. Yeah! I have a radio and I play it for two hours each in the mornings and evenings. So, I do get my dose of entertainment and music. 4. LOT of time with family with undivided attention. Now that TV is not there, none of us gets distracted while talking to the other. 5. Less stress, less electricity bill and less overload. Without TV there is much less stress in our lives now. I do not have to listen to those never ending conspiring saas-bahu sagas or animated hypothetical ‘what if.. this.. happens to our earth’ kind of videos and nor I have to listen to never-ending counter-complaining news debates. 6. Less screen time altogether. I mostly spend my time on laptop. Coupled with TV, my total screen time in a day would be devastating to my health. Thankfully, now my screen time is controlled as I have also put my laptop hours on check. 7. No more cartoons for my daughter. She watches some videos on laptop but on laptop I have the power of control with me. I can control what she watches and not. But with TV, you can not control. You can not escape the advertisements that come between the shows, you can not escape the plots, and you can not choose outside those five-six channels for children. Internet gives you the liberty to choose or create your own plan. I am not saying internet addiction is better than TV’s but if I have to show something to my daughter, I would rather search from the billion videos on internet than to put on a cartoon show on TV. We are extremely happy with our decision to live a TV-less life and I hope we do not buy a TV set ever. It’s benefits are too many to even think of buying one. 1. We read newspapers and news magazines that not only give more balanced opinions than TV but also give us the liberty to read as and where like to. Right now, as I write this, my husband is reading the newspaper in the balcony. 2. Internet is always there. We do a google search and read comprehensively when we feel we may be missing out on anything special. Like one night my husband stayed up till late in the night to watch LIVE telecast of Apple iwatch launch. 3. Instead of reading many opinions, we create ours. Since we get lot more time to connect with each other now, my husband and I talk to each other more and now we have our opinions without listening to too many counter and rather ruthless thoughts on TV. If I want to watch my favorite or any must-watch movies, I either rent them online for buy a DVD. This gives me the freedom to watch a movie without an interval and at my convenience. I can go on and on about the good that ‘no TV in life’ has done to us but for the capacity of this article, I will stop here. If you have any questions or if you want to remove the idiot box from your life and you need some tips, please feel free to contact me. Also tell me who watches more TV in your home? And can you go for a TV-less life? This article was first published on Womanatics.